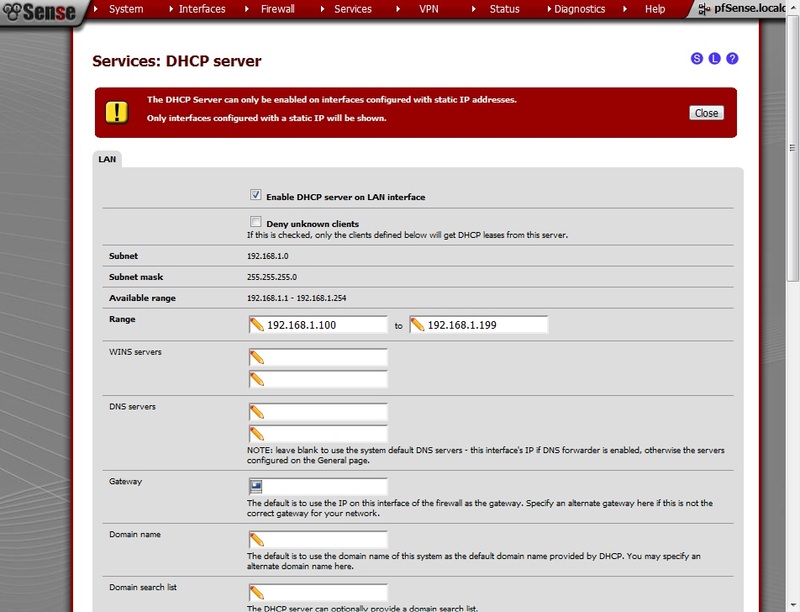 Time to move to the next step: configuring pfSense, so we can make sure that we are going to have connectivity once we strip our physical NIC from its TCP/IPv4 and TCP/IPv6 stacks. 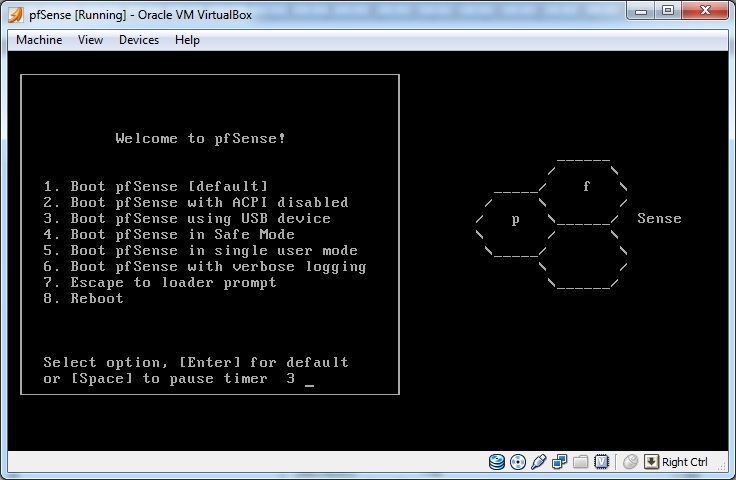 Mind you, in this part I will discuss only the minimal configuration required in order to have Internet connectivity, as this is not a tutorial about advanced pfSense operation. You should refer to the official documentation for that. 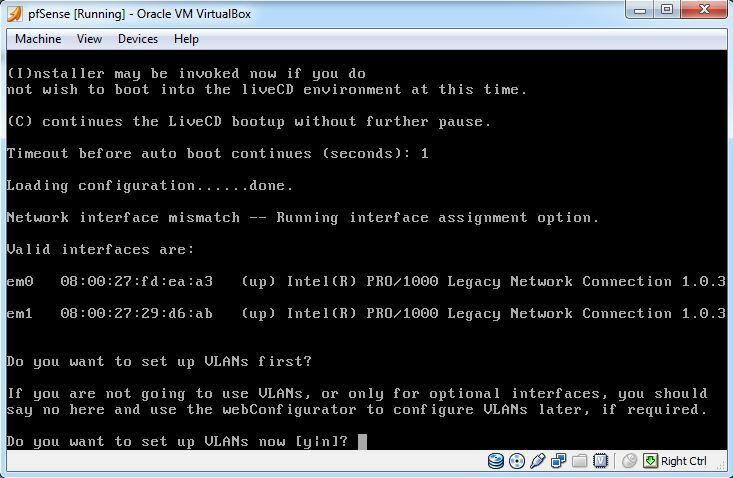 Enter the WAN interface name or ‘a’ for auto-detection: em0. 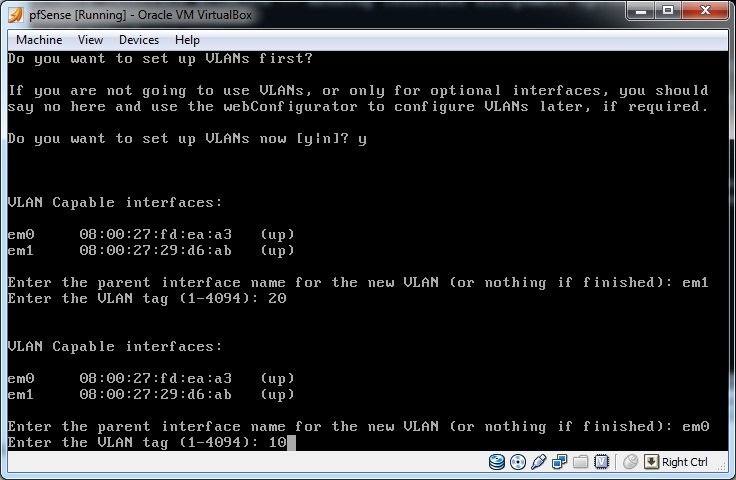 Enter the LAN interface name or ‘a’ for auto-detection: em1. 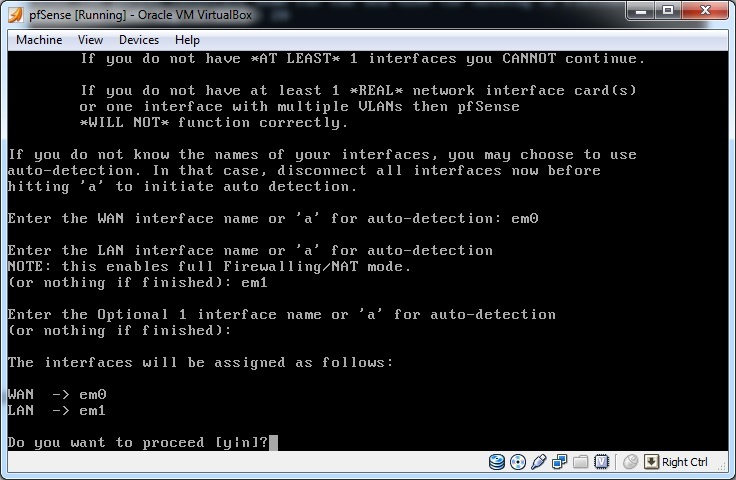 Enter the Optional 1 interface name or ‘a’ for auto-detection (or nothing if finished): just press Enter. Done! 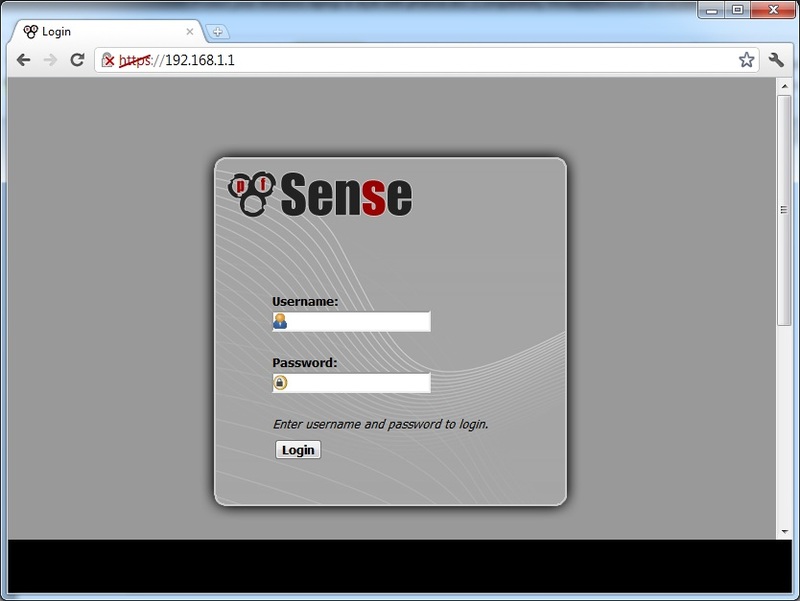 Now you can start doing some basic configuration, such as setting a password, but the real thing is yet to come: the friendly web interface is what is going to be needed in order to configure pfSense. And that is basically it. Open you browser of choice and navigate to whatever page. It should work, although the first time Windows will tell you in Network and Sharing Center that it has no internet connection. 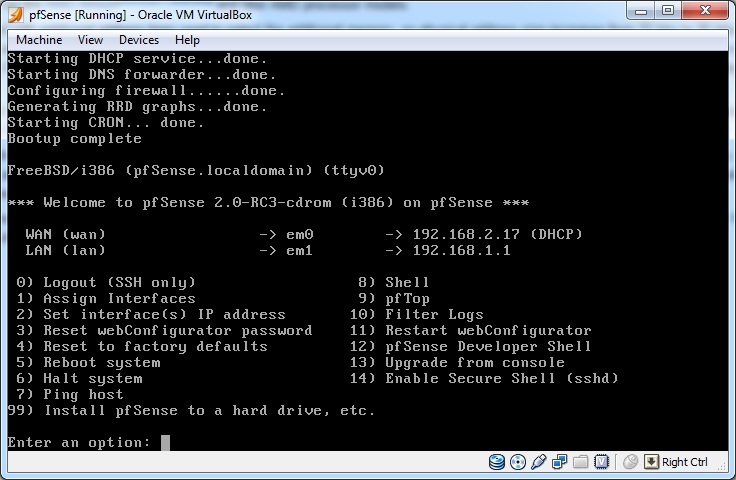 Don’t forget, if you want to be completely secure, you need to learn how to configure pfSense. Maybe in the future I will come back with some more tips and tricks on that subject. 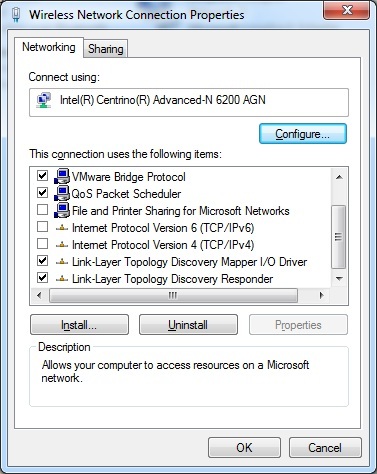 the ip 192.168.1.1 is already in use, it my default gateway for internet so should I change this ip? to which one? 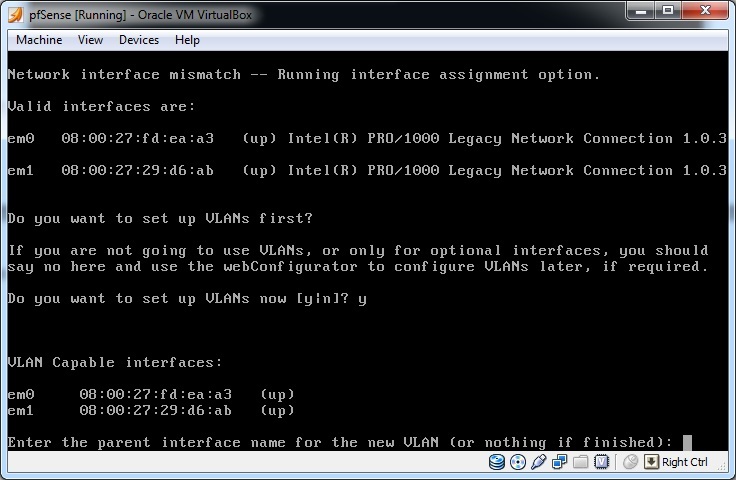 my lookback adapter’s ip is 192.168.1.100, should I change LAN ip to this? 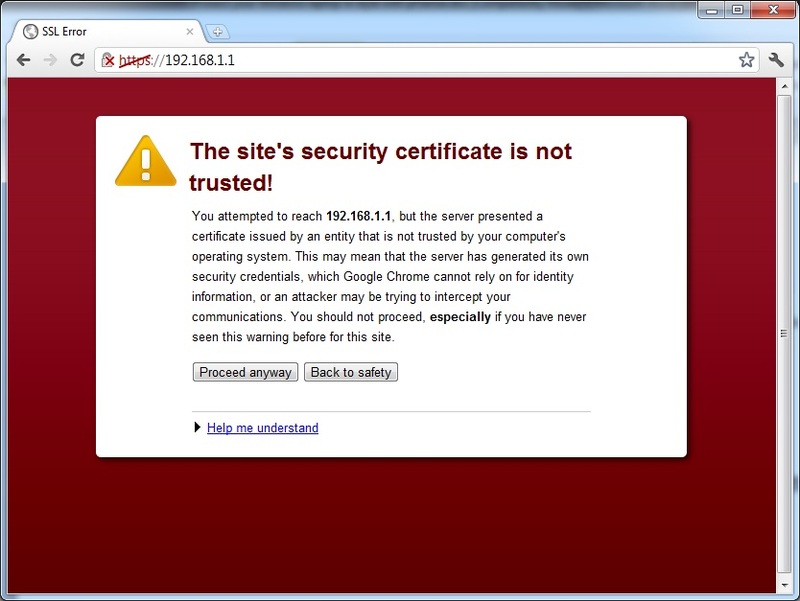 my laptop has the ip 192.168.108. Hey I know this is a little late but for other people. 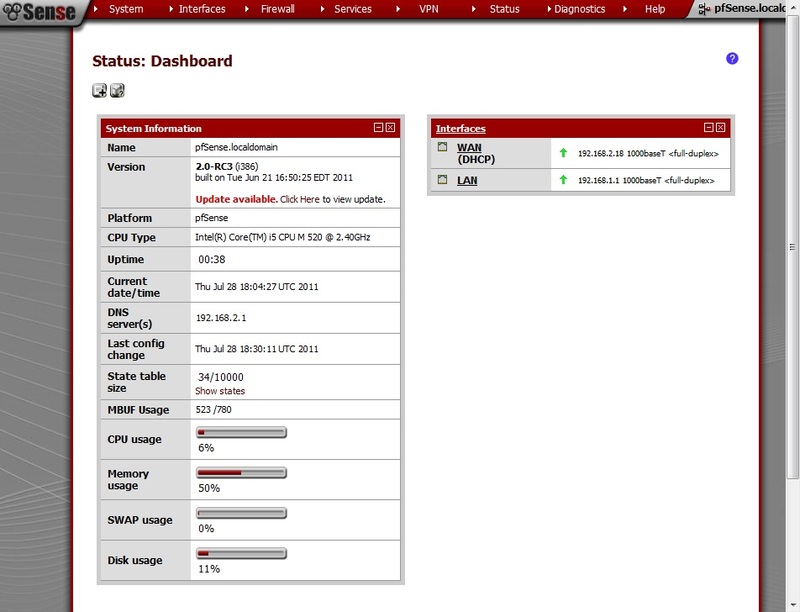 You need to change your IP in pfsense for LAN to 192.168.2.1 or if that ones used up another one like 192.168.3.1 etc….